Back in the ’50s and ’60s, many kit car manufacturers sprang up. They had harnessed the new magic of low-cost fiberglass body manufacturing techniques and come up with a variety of pretty good-looking sports car bodies. 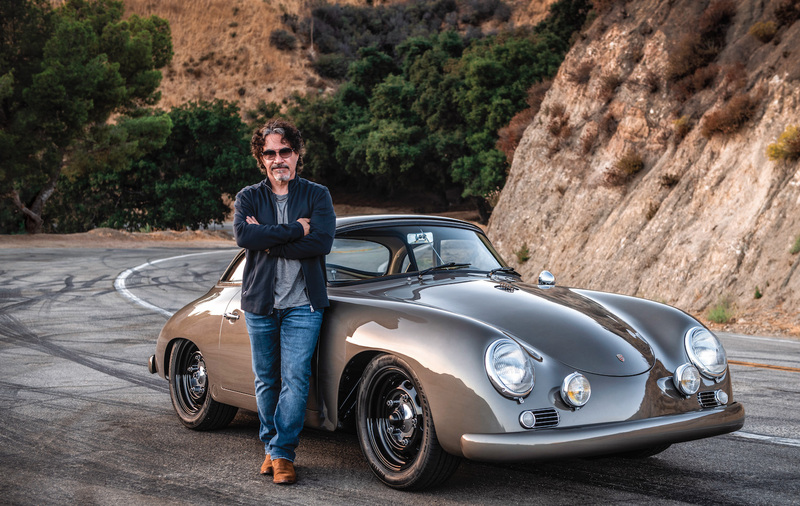 Most companies offered a handful designs that they adapted to a variety of donor chassis, meaning one model might be available for both a Porsche 356 and a full-sized Ford. 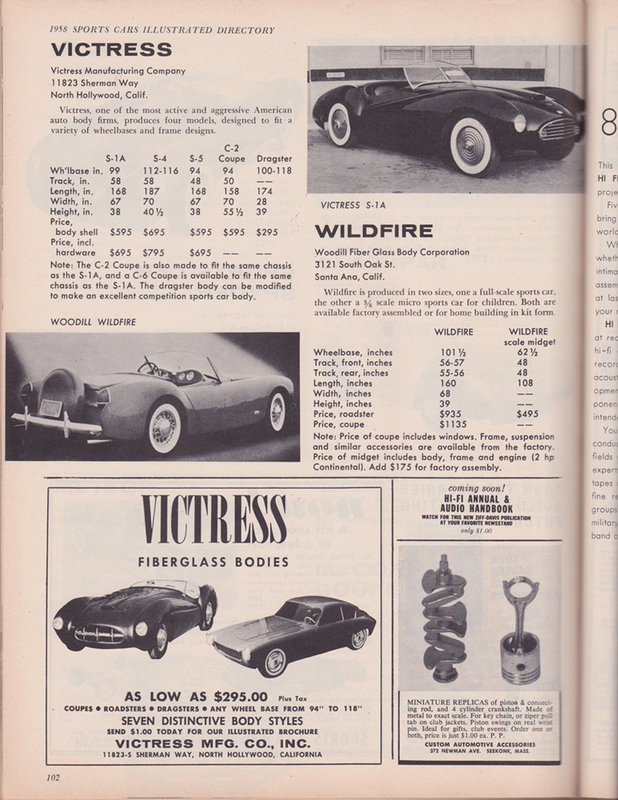 Triumph and Corvette chassis were common donors. These kits still pop up for sale occasionally, and we find them intriguing. Devin was probably one of the most popular kit car builders of the day, but Victress was another pioneer. We recently saw one of their C3 bodies on Bring A Trailer for less than $1000. That find got our minds working on a potential build: Take a rusty Triumph or MG and scrap the body. Then, top the chassis with a vintage kit body. Some ingenuity could produce a light, inexpensive sports racer or rally machine. The trick would be to finish it off with period wheels, tires and accessories so it looked like it was originally put together in the ’50s and not today. The Victress was one of the earliest after market body manufacturers, and like my Fiberfab Jamaican, the styling had Italian antecedents. I built a Victress S-1 back in the mid '50s. Took me 10 years and two interstate moves to get it driveable, with a hot-rod nailhead Buick, a Lasalle floor shift & a cut down Ford frame. In those days, your 'kit' was a body-shell in a crate, a gallon of polyester resin, 10 sq. ft of glas cloth and good luck to you. NO directions on attaching the thing to a frame nor any other li'l details. And of course, no Google or any other advice was available. Today's so-called kit-cars are practically assemble-before-dinner-and-drive-to-the-restaurant in comparison. Anyone know what car the S-1 shape came from? It sort of resembled the Ermina. I saw one of those 25 yrs ago or so at a British car show event. Only one I've ever seen in my life.